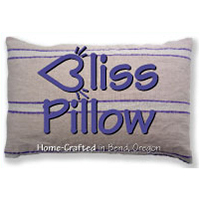 BlissPillow makes home-crafted pillows with organic millet hulls that are firm, soft, flexible and long-lasting. 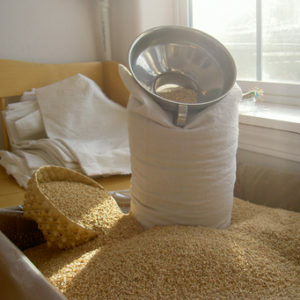 BlissPillow makes home-crafted pillows with organic millet hulls that are firm, soft, flexible and long-lasting. Millet is considered to be one of the least allergenic and most digestible grains available. Hull-filled pillows have been used all over the world for therapeutic support, relief from stiffness and soreness of the neck and shoulders and they may also help relieve and prevent headaches. 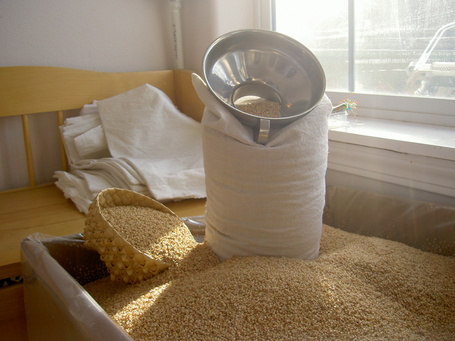 Millet hulls are considered to be dust mite- mold- and mildew-resistant, making millet hulls a naturally clean, hypo-allergenic pillow filling. BlissPillow gets its millet hulls from a supplier of organically grown hulls, so they are the lightest, purest, cleanest available. They also offer a vast selection of fabrics including many Eco-conscious choices in hemp, bamboo, tencel, vintage and organic.